Ezhil P 8 months ago. UPDATE: As of Dec 2017, Zoho Mail is no longer allowing free accounts to link with Gmail or Outlook. You’ll have to use Zoho Mail’s own web client, or upgrade to a paid plan. As an alternative, we recommend checking out Bluehost. I have been getting a lot of questions recently about how to link Zoho Email with a Gmail account, so you can use Gmail for your email client with a business email address you have setup through Zoho. 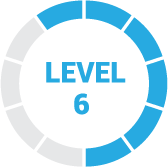 If you’re looking for a full web hosting solution, be sure to check out Bluehost, which gives you a business email and a website with hosting for only $2.95/month. When you are logged into your Zoho email account, click the settings button at the top. Then, in the left hand menu on the settings page, click “Email Forwarding and POP/IMAP. Under the IMAP Access Section select “Enable”. Then make note of the IMAP configuration details. Next login to your free gmail account. Then click the settings button in the upper right hand corner. Then click the accounts tab, and then “Add Another Email Address That You Own”. Enter your business email address in the window that comes up next, and remove the checkmark from the “treat as alias” box. Then click “next step”. In the next window for the SMTP Server enter “smtp.zoho.com”. Change the Port to “465”. For the username and password use your full business email address, and the password that you use to login to Zoho.com. Then click “add account”. Now go back to your Zoho email account, and click the confirmation link in the forwarding request email you should have just received. You are now setup to send email from your business email address using gmail. Now we need to set things up so you can receive email that is sent to your business email address in gmail. To do that click the settings button at the top of your zoho email account. Then click “Email Forwarding and POP/IMAP” in the left hand menu. Next click “add email address” and enter the free gmail account that you are using in the email ID field and click the “Add” button. This will send a confirmation email to your free gmail account to confirm that you are ok with zoho forwarding your business email to that address. So head back to your free gmail account, find that email and click confirm. After clicking confirm you will be asked for your zoho password in order to verify the forwarding. Email that is sent to your business email address will now come to your gmail account automatically. When you click reply, the email will automatically be sent from your business email address as well. There are 2 ways that you can have new emails you are sending from your gmail account sent from your business email address. The first way is to use the dropdown on a new email to select your business email address. The second way is to configure your gmail account so that it sends new emails from your business email address by default. 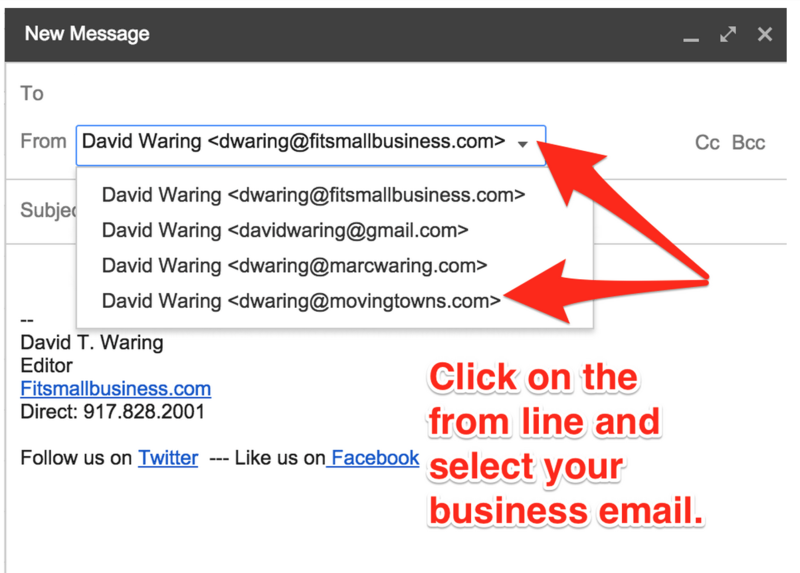 To do that click the settings button in the upper right hand corner of your gmail, then click accounts, then find your business email and click the “make default link” next to it. You should be all set now! If you have any questions or issues let me know. 1. why did I have o take note about IMAP settings from Zoho since I haven’t been asked during the process? 2. why forwarded email messages from zoho always skip Gmail inbox? I checked everything in both services, create a filter to “mark as important” all forwarded emails but still having trouble. 1. You enter the outgoing server information from the imap settings in Zoho when you are setting up your business email to send through gmail. See the 4th image from the top above, where it says “smtp server”. 2. By default emails sent to your business email address should not skip your inbox. When you created the filter did you select “skip inbox” by mistake? Please don;t take this the wrong way…I love you!! : ) When starting a new business that amount of systems to put into place can be daunting. Its people like you that make it…less frustrating. Thank you so much. Thanks for sharing the love Sabastian! If there are any questions I can help with let me know! Hi Dave-I followed your very clear instructions and was able to succesfully set up my Gmail account to receive emails sent to my Zoho account. I have been receiving most of my emails, but occasionally (at least once a day) emails are delivered to my Gmail account well after (usually 10 hours) they were sent. I don’t see any setting in IMAP that address frequency of receiving emails like a POP account has. Do you know why some messages are delayed in being delivered to Gmail? Thanks for reading and for the comment. Unfortunately no this is not something I have experienced and although I did a little research was not able to find anything on it. Sorry I could not be of more help on this one. Do I keep the IMAP access enabled? Or do I disable? I have followed all of the instructions– thank you so much! But I have still not received the test email I mailed to myself about 40 min ago. It might just be taking awhile, but I thought I would check in with you about the step I was unsure about. Enable or no? Thanks a ton! This has been tremendously helpful! Now, I just hope I did it right! Thanks for the compliment. Yes you keep IMAP enabled. If there are any other questions let me know! How can in get labels to the mails i recieve in gmail from zoho? Thanks for your question. Not understanding exactly what the problem you are having is. Can you give a little more detail on what you are looking to do here? Dave – This is a fantastic article. Thanks for making it so simple and easy. Glad to hear it Pete! I vote for playing golf! Neither steps work for me! Sorry to hear that Rahul. If you can provide a little more detail on what’s happening when you go through the steps I will do my best to help.